Hi Everyone, It's Release Day over at Jaded Blossom! We hope you all enjoyed our projects this week. But as you know we have one more Stamp Set and our September Freebie. Free Stamp for customers that spend $40 or more before Taxes and Shipping! FREEBIE promotion STARTS later at 4pm PST and ends Sunday 9/7, 11:59pm pst. Here is what I made with the Freebie stamp set Caramel Apple! I used the Scallop Slider die, Fall Dies for the apple and Mini Tag Dies 2 to stamp the sentiment on. 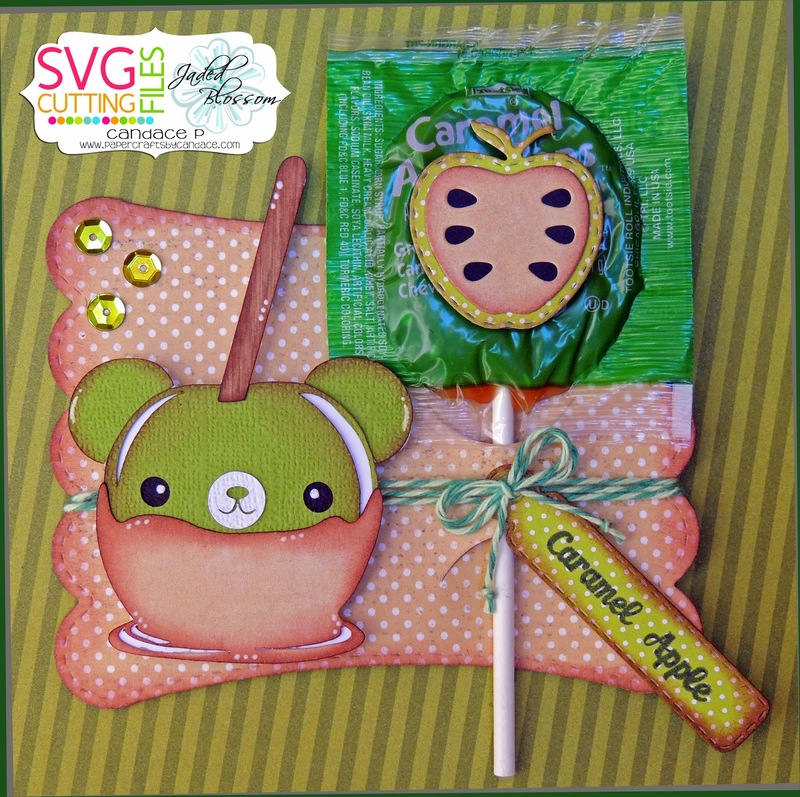 This CUTE Carmel Apple Bear is NEW from SVG Cutting Files! And make sure to come back Later at 4pm, PST for our Stamp Release Blog Hop! You won't wanna miss it.